My latest Sampleroom haul consisted of the following items: Godiva LicoWhite™ Whitening Lotion with SPF 15 (8 sachets of 6ml each), VMV Hypoallergenics Armada Sport 70 (5 ml sample tube), and The Body Shop Moisture White™ Shisho BB SERUM INSIDE (5 sachets of 1.5ml each). I would like to share with you my impressions of these items so that you can decide whether to get them or not while there are still samples available. I am a huge lotion fan, and I didn’t hesitate to grab this when it became available at Sampleroom even if the main draw was the whitening. I didn’t really need the whitening aspect, but what intrigued me was that it was a lotion with SPF. 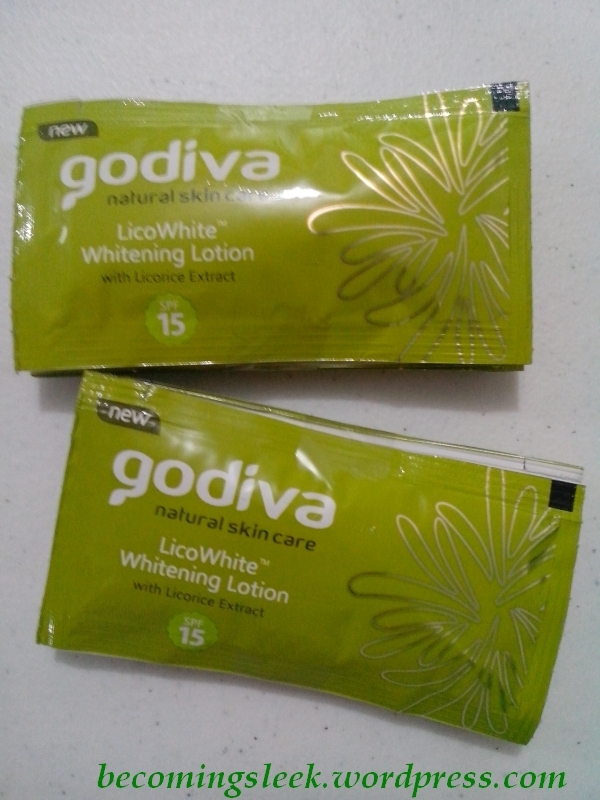 While I could not vouch for the whitening, I can definitely say that I love the texture and scent of this lotion. It also did not irritate my sensitive skin. I can consider adding this to my stable of lotions once I run out. The sample costs 25 points, and the full sized 100ml bottle costs Php120 and is available in supermarkets and drugstores. 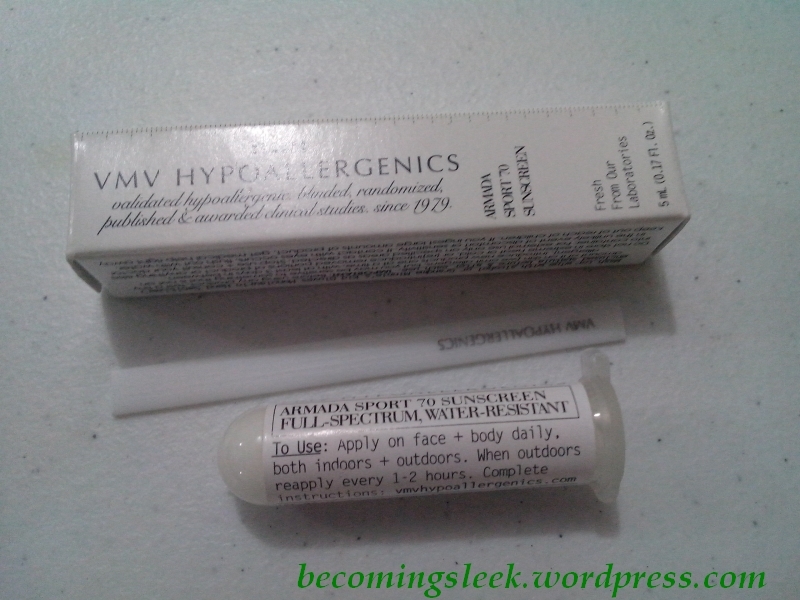 VMV has always struck me as the epitome of sensitive skin friendly, especially with that Hypoallergenics in the name. Therefore it was a no-brainer to grab this. It’s a sunscreen that comes in a novel tube that comes with its own spatula. I usually put this on my face when the day is unusually hot, but it can also be used for the body. Putting makeup on top of this is not an issue. A little goes a long way for this! The sample costs 50 points, and the full sized 185g/85g tube costs Php2080/Php1500 respectively and is available at VMV counters in malls. It sounds pretty pricey, but take note that the sample is only 5ml and it will take some time to finish! 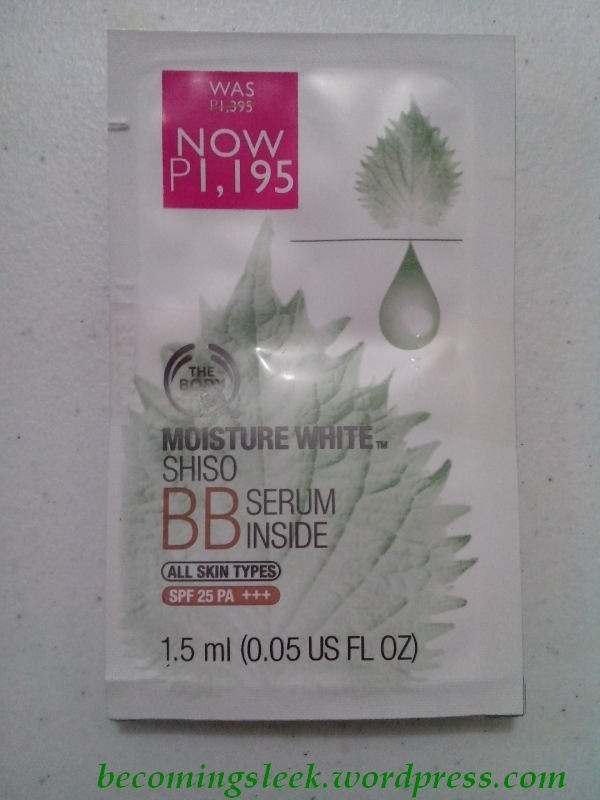 Lastly we have the BB cream sample from The Body Shop. TBS is noted for its mostly cruelty-free products, so I was quite excited to try this out. This Moisture White Shiso variant contains shiso, vitamin C and liquorice, and Community Fair Trade organic aloe vera, and targets hyperpigmentation, improves luminosity and evens skin tone. I like the fact that it has a lot of skincare factor in this face base. The only problem with this is that the shade is too light for my skin tone. There is a distinct white cast, and I definitely needed the help of a finishing powder to darken it back to skin tone. This sample costs 60 points, and the full sized 30ml tube is Php1395. Bonus! 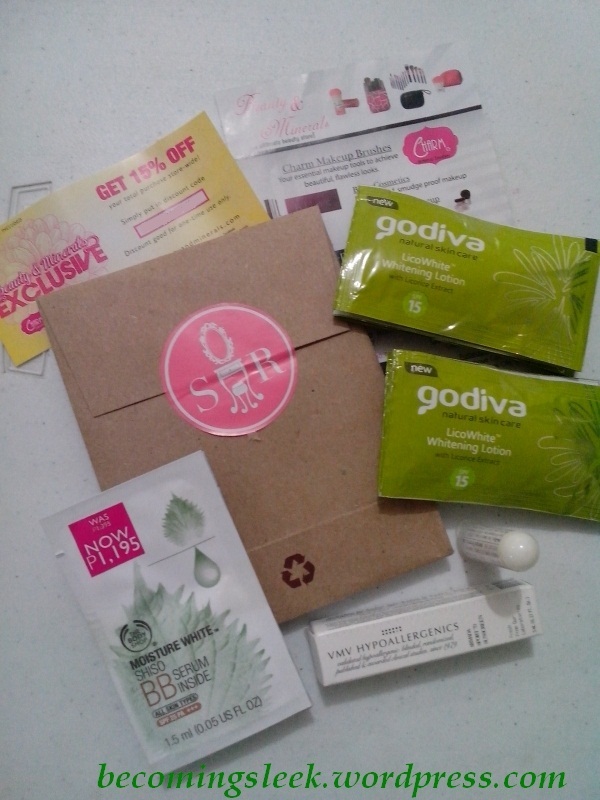 I received a 15% off voucher for the Beauty & Minerals online store! Amazing! Thanks Sampleroom!